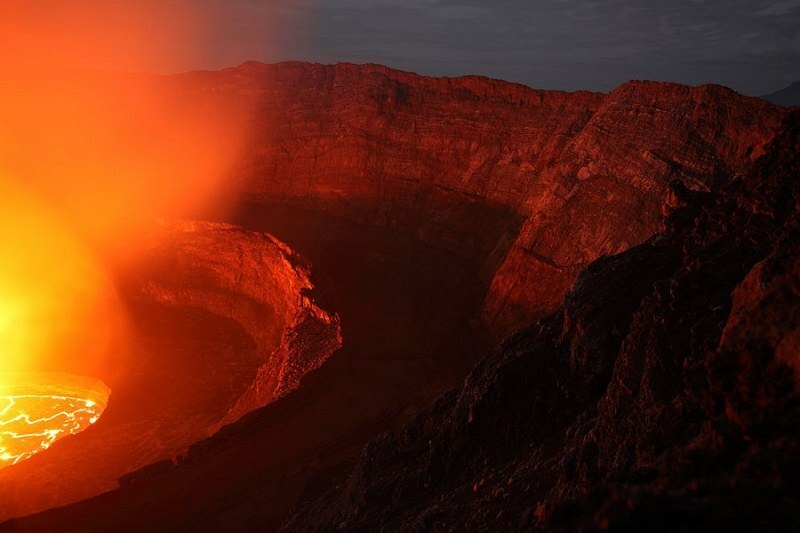 Few volcanoes are as spectacular as Mount Nyiragongo. 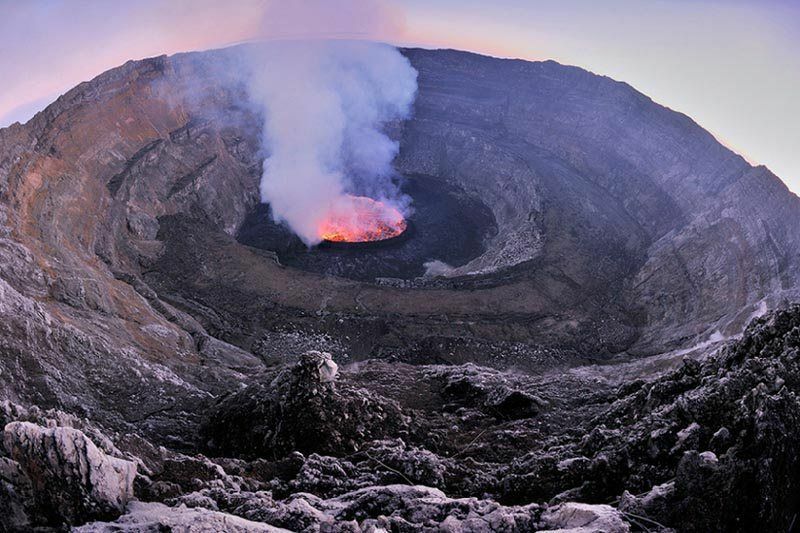 Known for its active lava lake and (relatively) frequent eruptions, this incredible volcano has the potential for widespread disaster. 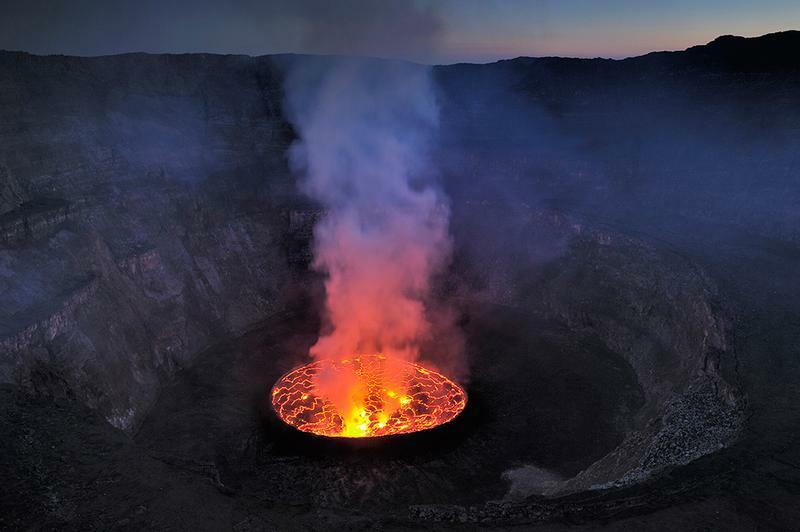 Unfortunately, political unrest prevents the scientific community from studying the dangerous volcano in depth. 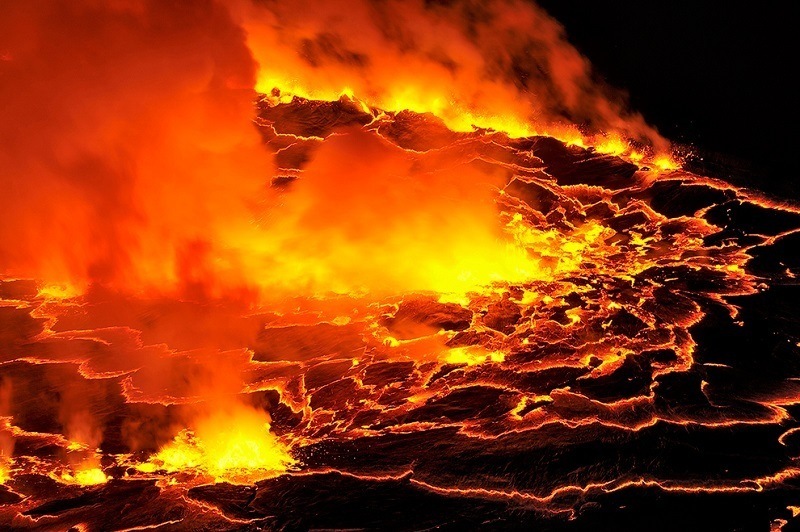 But as seen in these breathtaking images, scientists and photographers have still been able to capture the bubbling, fiery lava that churns within the mountain’s lava lake. 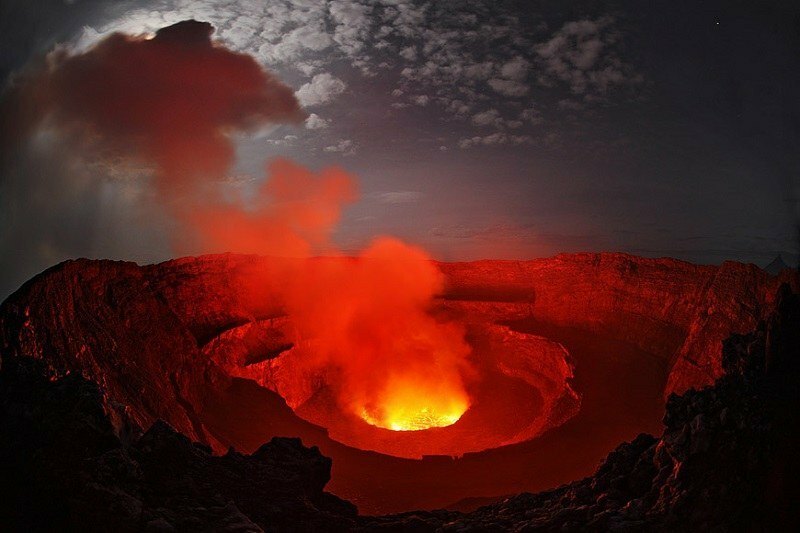 Located near the eastern border of the Democratic Republic of the Congo, Mount Nyiragongo is an active stratovolcano, also known as a composite volcano. Stratovolcanoes are formed over time as layers of hardened lava, tephra, pumice, and volcanic ash build up, forming a steep profile. 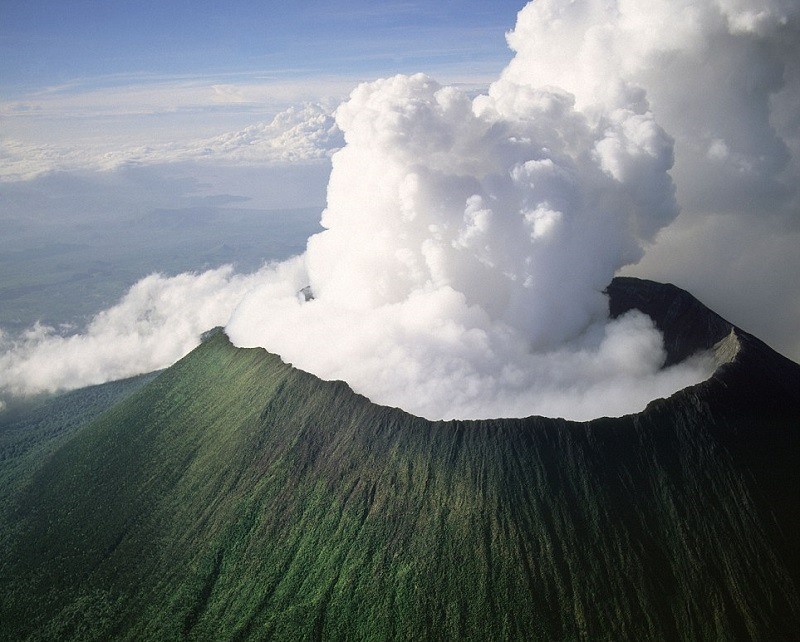 Mount Vesuvius, which destroyed the town of Pompeii thousands of years ago, is one of the world’s most well-known stratovolcanoes. 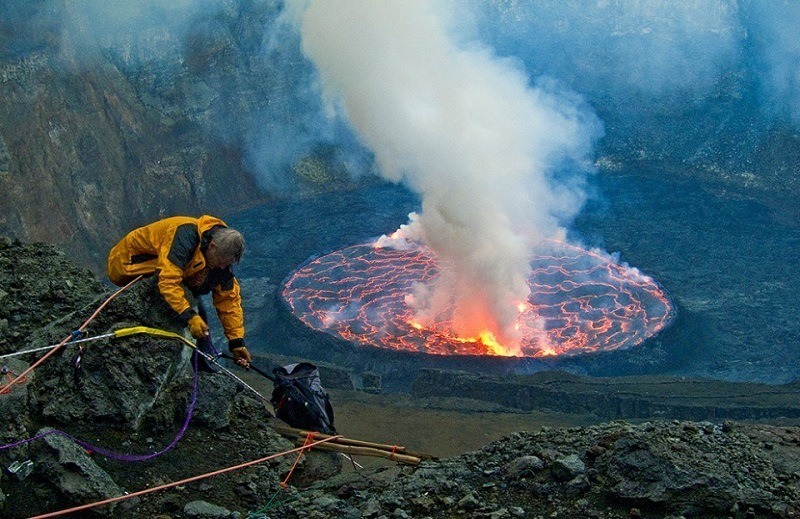 Throughout history, stratovolcanoes have proven to be the deadliest, most hazardous of all volcano types. 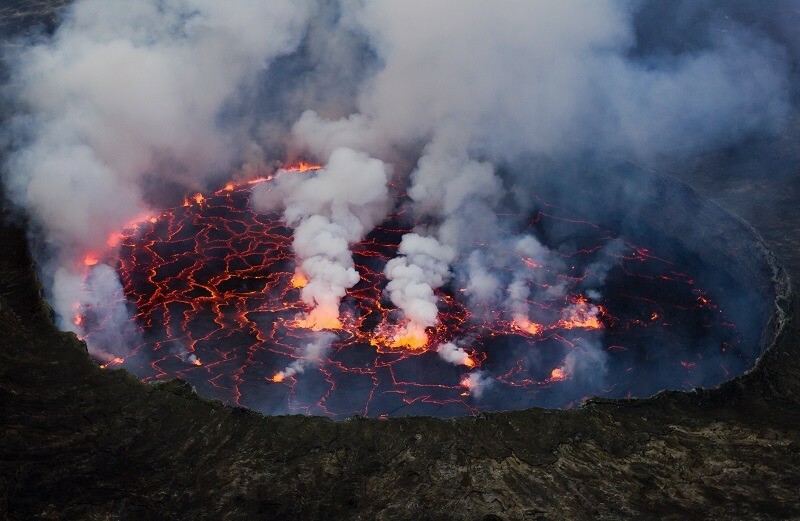 In 2002 during Mount Nyiragongo’s most recent eruption, hundreds of thousands of people fled the nearby city of Goma as lava raced from the volcano, killing more than 100 people. 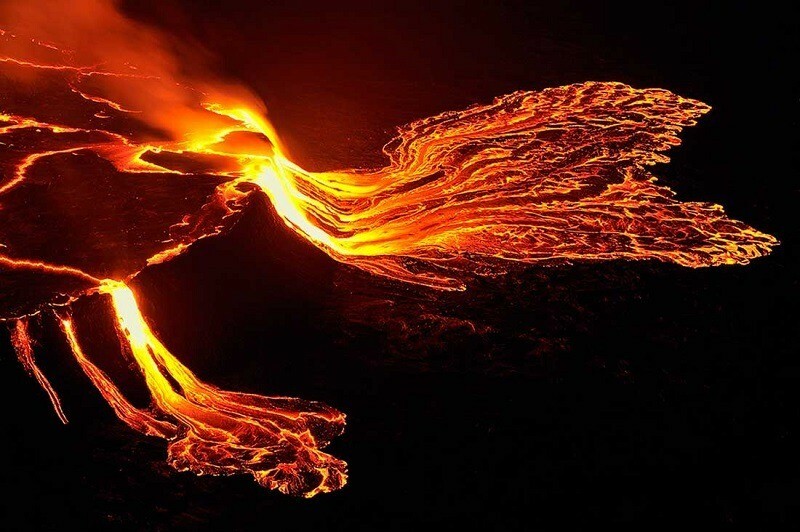 A similarly deadly eruption occurred in 1977, when scientists measured lava travelling at 60 miles per hour—faster than had ever been previously observed.